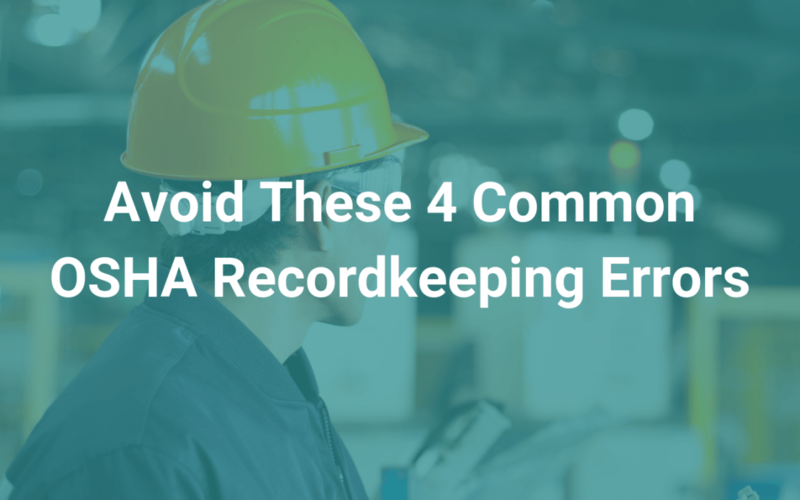 Good recordkeeping allows you to avoid quite a few potential headaches. But it also allows you to avoid costly OSHA citations. It’s shocking just how many companies cut corners—possibly even unintentionally—with such an important aspect of the company’s recordkeeping. Make sure you do everything you can to accurately report and record injuries. Attention to detail is critical so that you can describe the injury/incident, and so you can include as many specific details as possible. With iReportSource, from start to finish you have a guided process that was built to help make sure all information is collected and recorded in an accurate, thorough, and honest way. OSHA 300 requires that only one box be checked, used to indicate death, days away from work, job transfer or restriction or other recordable. Make sure that first, you select the right box. Second, only select one box; select the classification that reflects the most serious outcome, even if more than two selections do actually apply to that case. Even someone who has worked in safety for decades can still make a mistake when it comes to checking the box to classify a case the right way. With a system like iReportSource that prompts and guides someone through the classification, these kind of errors and mistakes can be entirely avoided (1). Once the OSHA 300 logs are filled out appropriately, the company owner, or the highest ranking executive on-site, is required to sign off on the forms. In other words, they’re saying that they knew how that information was recorded. They’re also acknowledging they are fully aware of the information. It’s one way that OSHA can come back and say, “You had knowledge of the process, and you said this information was indeed correct and complete” (3). So how does OSHA define that person? First and foremost, if that person is not an executive, they shouldn’t be the one that signs off on the forms. OSHA indicates it should be the company’s highest ranking executive. Or, if not that person, it should be the highest ranking person at the worksite or the immediate supervisor of the highest ranking person. These are important details to follow to properly certify the OSHA logs (1). Saving the OSHA 300 Log, the privacy case list (where applicable), the annual summary, and the OSHA 301 Incident Report all need to be stored for 5 years after the end of the calendar year for those records. You want these to be organized and easily accessible, no matter what safety manager or director leaves during that timeframe. After all, if OSHA discovers the logs are incomplete (and that you knew they were incomplete), citations are likely to happen for violating recordkeeping standards. Also remember the stored OSHA 300 logs have to be updated and they should include any newly discovered recordables. They should reflect any changes that have occurred in the classification of previously recorded injuries and illnesses (1, 2, 3). One significant obstacle accurate recordkeeping: not having a consistent, reliable way for workers to do it. iReportSource changes that, making it possible to track and manage workflow and accountability in real time.